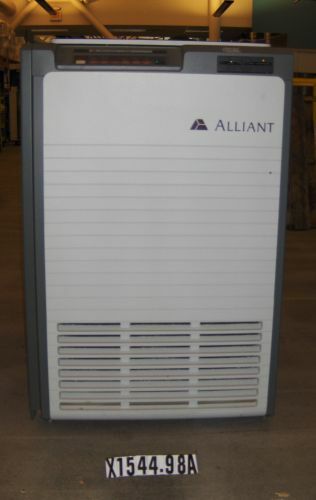 The Alliant FX/8 was a computer designed to compete with the VAX family of machines from DEC. It ran UNIX and allowed for up to eight CPUs to be installed in a single cabinet. It offered high-performance in numerically-intensive applications and was popular in ?? [customers] environments. The FX/8 formed part of a new category, the 'minisupercomputer,' and was frequently referred to as a "Crayette." This item comprises four pieces: A: CPU (3 Processing Elements) B: I/O Unit / Concentrator C: Video monitor D: Keyboard A requires 120/208VAV 3 phase, 24A, 60Hz B requires 120/240VAC 1 phase, 15A, 60Hz Note from John C. Green: "The FX/8 market space didn't exist long enough to get a universally adopted name. Convex called them 'affordable supercomputers.' Some in the press called them "Crayettes." Many called them minisupercomputers. The BRL at Aberdeen didn't distinguish them from superminicomputers, of which VAX was the classic example. I called them 'air-cooled supercomputers.' Some called them 'VAX Killers.' Of all of these the most widely used term was 'minisupercomputer'. On Day One, the FX/8 had no graphics whatsoever. The master console and all user terminals were 24 x 80 dumb ASCII tubes. Soon thereafter the Raster Technologies Model One was added via a DR11W interface to provide high performance graphics. 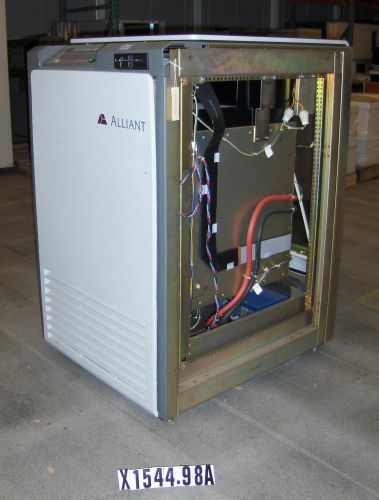 Much later, after Alliant acquired Raster Technologies, the VFX/40 and VFX/80 were added to the product line which had very high performance graphics based on the RT GX/4000 product integrated, However, I don't consider addition of RT Model One or VFX to have made the product enter a new product space." 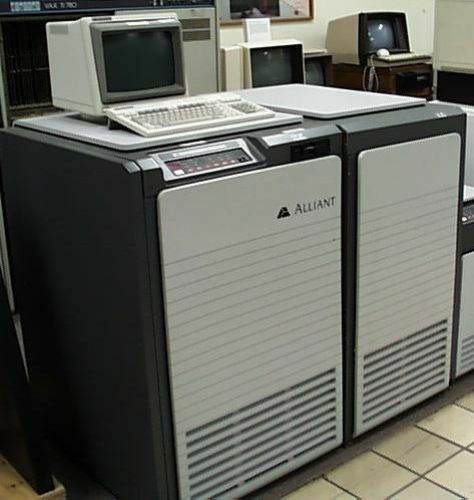 "First FX/1 shipped to Apollo Computer June, 1985. First FX/8 shipped with no high-speed CPU (only I/O processors) to David Kuck, University of Illinois, May, 1985. First FX/8 shipped with CPUs to David Kuck, University of Illinois, July, 1985. Both were announced Tuesday, July 23, 1985." "Early FX/1s and FX/8s did not meet architectural specifications (they had no arithmetic fault traps). FX/1s had CPU card replaced and FX/8s had entire 1 meter cube box replaced at no charge starting November, 1985. I would use July 23, 1985 as DOB for both." There are two stickers on the CPU unit that read, "NOT AUTHORIZED FOR PROCESSING OF CLASSIFIED INFORMATION."